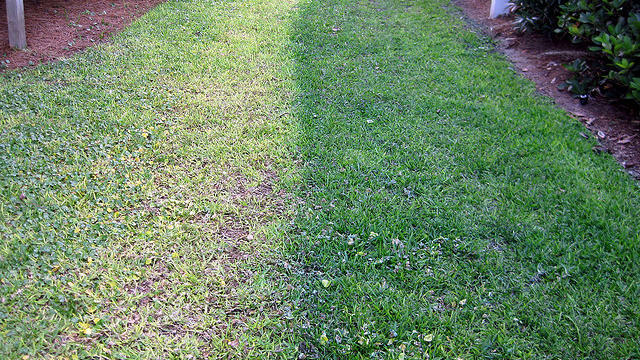 Lawn painting businesses are booming as a result of California’s current drought. I came across this oddly hypnotizing video about Josh Cox, a Fresno-based lawn painter. Have any of you out there painted your lawns? Let us know. And for anyone else, here’s how to lose the lawn, what to plant in its place, or even how keep your lawn but still save water.